my new daily driver applying the Planck BEAKL layout to the SOFT/HRUF Splitography keyboard – though, this design should be effective with any keyboard layout. 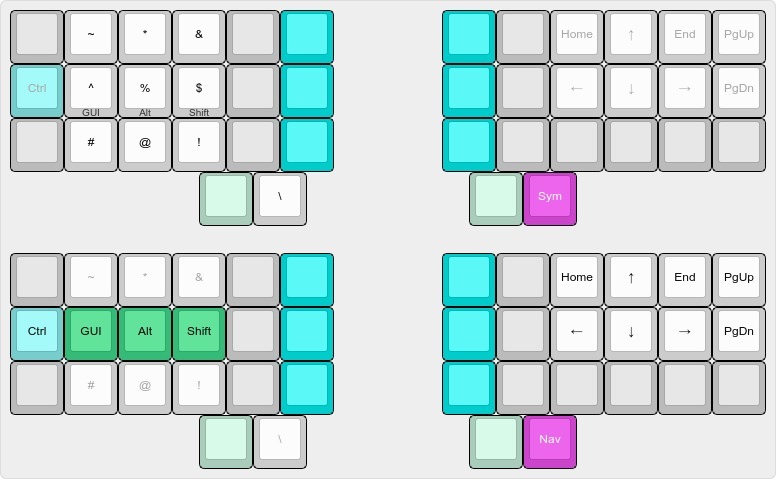 I have since reverted to the BEAKL 8+10 mashup layout to favour the finger rolls with the new hand position of the split keyboard. 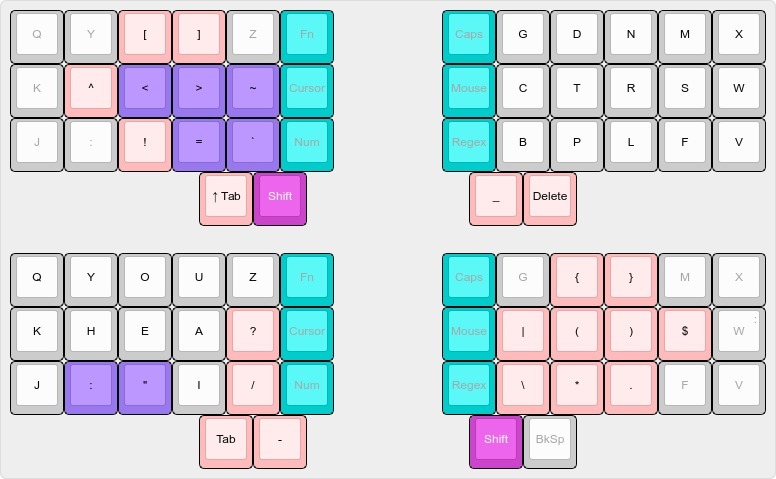 Most notable in this layout is the wide format, retained from the Planck, even though this is a split keyboard, for its more open thumb position. That is just me, as convention more commonly places the inner column modifier/action keys in the outer columns for pinkie finger access.. The home row modifiers facilitate chording and make the Splitography work with effectively fewer keys than even a 40% keyboard. 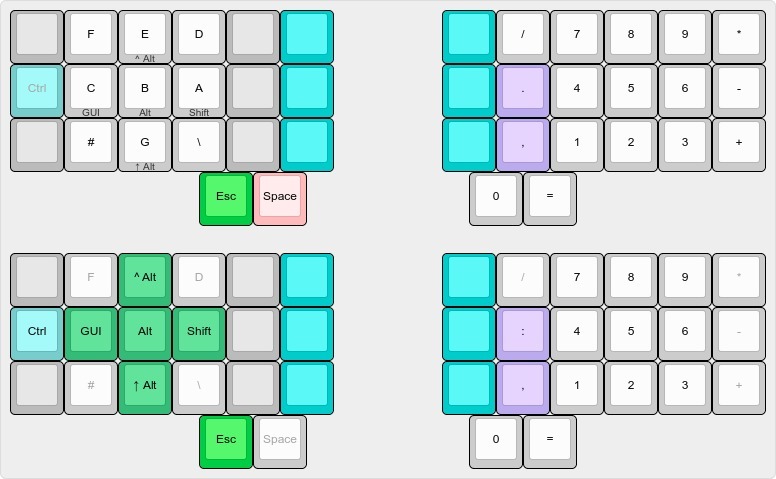 The biggest change – if it can be called that – from the Planck layout is the lack of the Tab and Fn Layer keys on the base layer thumb row for obvious reasons. The Tab key moves to the Shift Layers and the Fn Layer key becomes a toggle layer key which can be held to access the layer while depressed or toggled to raise the layer. The Mouse key controls desktop mouse (pointer) movement and button actions..
the following layers are the switchable layers in addition to the usual momentary Shift, Numeric and Symbol layers above. One handed access to these layers is a convenience I am growing fond of. Tapping the layer key a second time or, more conveniently, pressing the Escape key, toggles the layer off and returns to the base layer. Tapping an alternate center column key switches immediately to the layer or function (Caps) without need to toggle off the current layer..
Aside from a NumLock or keypad mode, the Space key is now accessible with the freed left thumb. combines the Shift Layer symbol clusters with a few extra freed hand regex characters..
switches are one of my favorite switches along with the more recent Cherry Silent linear switches. Both are very smooth and internally dampened. 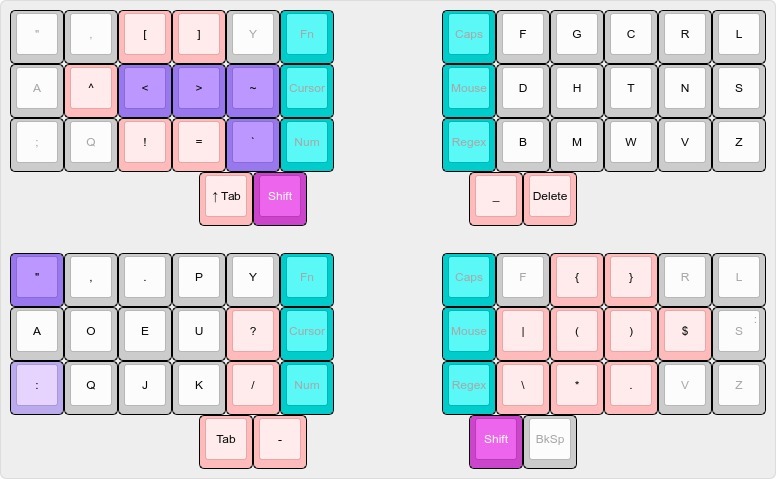 The only thing Cherry switches have over the Matias Alps design is keycap selection. 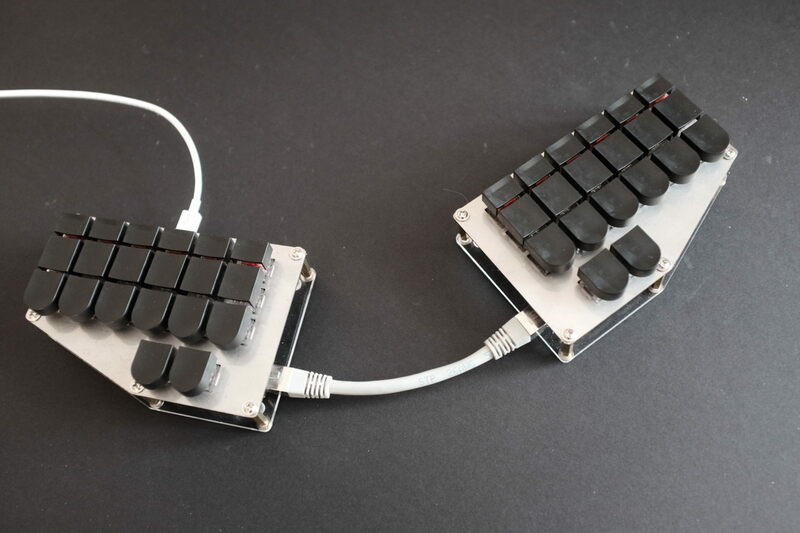 Fortunately, the Splitography steno keycaps are beautifully made. The overall feel with the Matias linear switches satisfy my linear preference. Other than the oddity of the narrower top row keys which took a brief amount of time to get used to for standard typing (versus steno), the Splitography is rapidly becoming my favourite keyboard for feel and ergonomics. uses the same layers and toggle layers for function keys, number, regex, cursor and mouse movement above..